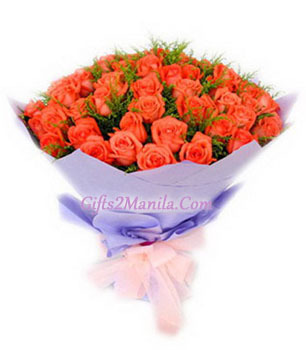 3 dozen bright orange roses in bouquet. Your purchase includes Free classy greeting card. ABSOLUTELY FREE DELIVERY IN METRO MANILA AND NATIONWIDE. Our Cut off time is 12PM local time for same day delivery and next day to province. Order received after 12PM will be delivered on the next day. Someday delivery is not applicable during any special occasion like Valentine�s Day, Christmas, Mother�s day and Father Day. 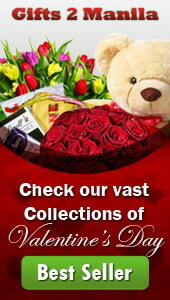 We cannot commit on any time request Delivery during special occasion but we will deliver it within the day. We cannot commit specific time delivery if you complete the order same day. Please complete the order at least 3-4 days ahead of delivery date for specific time delivery. And time specific delivery possible to Metro manila Delivery Only. Incorrect address and contact number might cause delay of the delivery. It is very important to provide correct address (House# street name Brgy name) and contact number of the recipient. Item will not be shipped if the address is not complete.